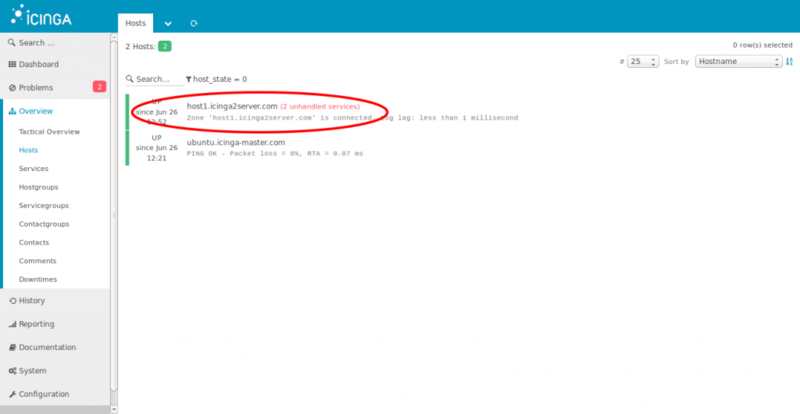 In my previous article, I've explained how to install and configure an Icinga2 with Icinga Web2 interface. Now it's time to introduce some hosts to our monitoring system. Unlike Nagios, we can add the hosts automatically to the Icinga2 systems. The configuration is quite simple and easy compared to other monitoring systems. As stated before, the communication between the monitoring server and the client nodes are more secure comparing other versions. All communications are secured by TLS connections with certificates which is setup by Icinga2 servers on initialization. Let's start with the procedures on how to add a hosts to our monitoring system. You can take a look at the work flow. We've already setup our Icinga2 master node, now we need to make the following initialization to allow our host nodes and connect to them securely. We need to run this command " icinga2 node wizard" to run the setup wizard. The setup wizard will ask you whether this is a satellite or master setup. Since we run this on the master server we can type 'n'. By typing 'n', it installs the master setup and start generating the certificates for secured TLS communication. 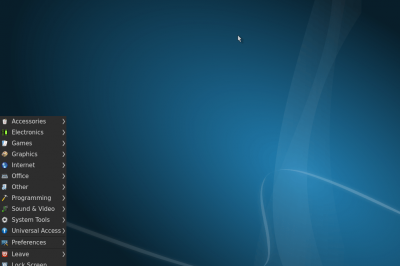 information/cli: Generating new CSR in '/etc/icinga2/pki/ubuntu.icinga-master.com.csr'. 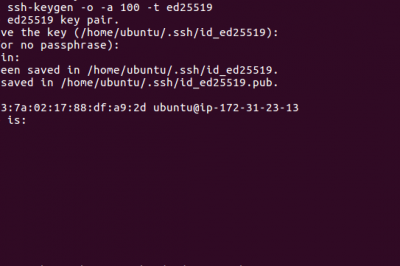 information/base: Writing private key to '/etc/icinga2/pki/ubuntu.icinga-master.com.key'. information/base: Writing certificate signing request to '/etc/icinga2/pki/ubuntu.icinga-master.com.csr'. information/cli: Signing CSR with CA and writing certificate to '/etc/icinga2/pki/ubuntu.icinga-master.com.crt'. We don't need to change the ports, so leave it as it is. After running this setup wizard, you need to restart the Icinga2 service. We need to install Icinga2 on the host node as the initial step. For that, we need to add the Icinga2 repository to the host node and update the APT repository packages. This PPA provides Icinga 1, Icinga 2 and Icinga web Packages for Ubuntu. They are directly derived from the Debian Packages that I maintain within Debian. Now we need to run the set-up Wizard on our host node and install the Satellite setup. Since, this is our Satelite setup, we need to type 'Y' to proceed with our Satellite setup. 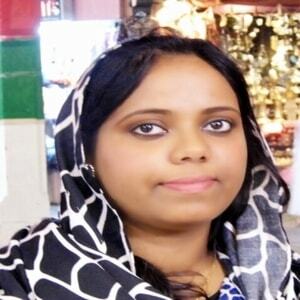 This will proceeds with the Satellite node setup and installs the required certificates for TLS communication. information/base: Writing private key to '/etc/icinga2/pki/host1.icinga2server.com.key'. information/base: Writing X509 certificate to '/etc/icinga2/pki/host1.icinga2server.com.crt'. We need to provide the host information and Master server information to complete the Node setup. After providing the details, it will enter CSR auto signing. After this, Icinga 2 saves some configuration on the host node and setup a secure connection with it. After saving these certificates, it needs to be validated by the master to prove that you’re actually in command of both servers and approve of this secure communication. For that, I run this "icinga2 pki ticket --cn 'host1.icinga2server.com" on my master server and provided the code generated in the Node setup to proceed further. information/cli: Requesting certificate with ticket '836289c1bcd427879b06703dfb35aa122bf89dc2'. warning/cli: Backup file '/etc/icinga2/pki/host1.icinga2server.com.crt.orig' already exists. Skipping backup. information/cli: Writing signed certificate to file '/etc/icinga2/pki/host1.icinga2server.com.crt'. After signing the certificates, it askes for the API/bind port. We can skip this sections as before and proceed with the reset of the configurations. information/cli: Enabling the Api listener feature. Once the Node setup is complete, we need to restart the Icinga2 daemon on the Host side. Now we can go back to our Master server and confirm with the host addition. We can run this command to list the host nodes and services added to the server. Now we need to update Icinga2 master configuration to update these modification and to add the host nodes to the monitoring checks. Finally we can restart the services to save these changes and view our host node in the Icinga Web2 interface. We can login to the Icinga Web interface at http://139.162.55.62/icingaweb2/ with our admin credentials and confirm the host status. As you can see from my above screenshot, http service is showing critical in my client server. I've not installed Apache on my client server, hence I don't actually need the HTTP service to be monitored in our client server. Let's see how I'm going to remove that service from the monitoring services. 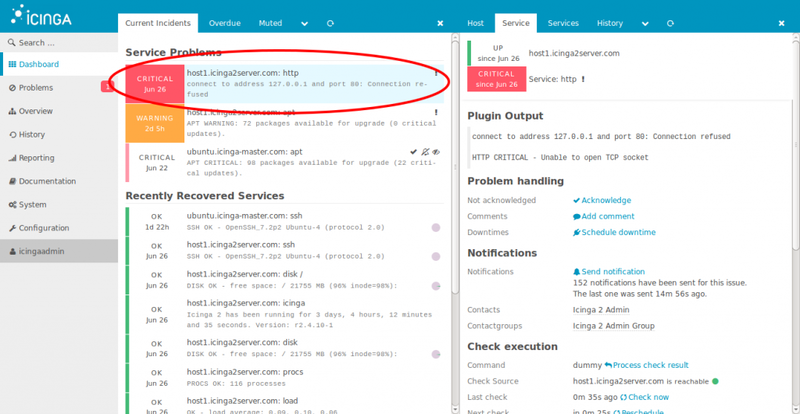 We need to get inside the client folder "host1.icinga2server.com" and view the service files which are added to the hosts on initialization. We can see all the service configuration files for that particular host residing inside this folder. Now we need to remove those service check file which we need to disable from the monitoring. For example : In our case, we need to disable http service, hence, I'm moving http.conf from this folder. Either you can remove it or just move these files. After making any changes we need to reload the Icinga2 service on the server. We can confirm it from the web interface, whether that services are removed. Therefore, we need to remove this from the node list. Let's see how we can do that. 1. Login to the Client server and move to the folder called "/etc/icinga2/conf.d", there we can see the hosts.conf file. Now we need to edit the hosts.conf file and comment the http service check part from there. Restart the Icinga2 service on Client server to update these changes. 2. 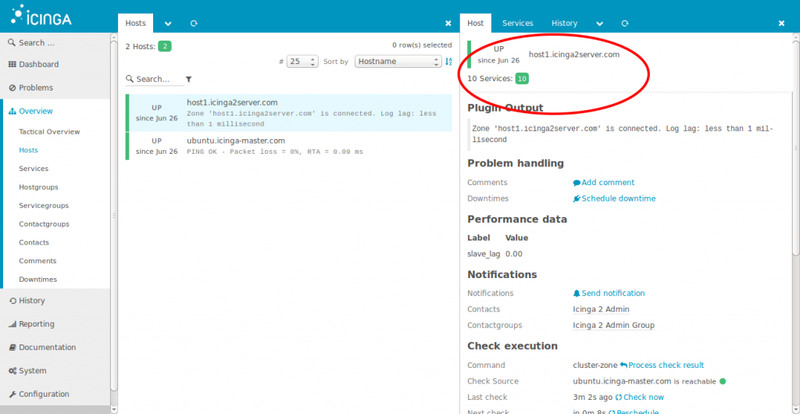 Move back to your Master server, reload the Icinga2 service and update the node configuration. Now we can confirm the removal of http service from Master configuration. How can I use a checkCommand/Service definite to the master on a client-node ? Btw, I'm getting the below warning while executing the icinga2 node command. Any idea about the replacement for the node command?